Taking It Back! 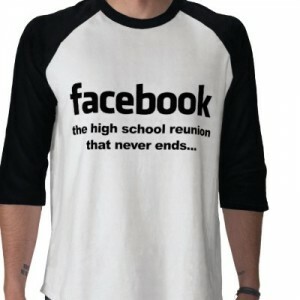 : Is Social Media Killing High School Reunions? 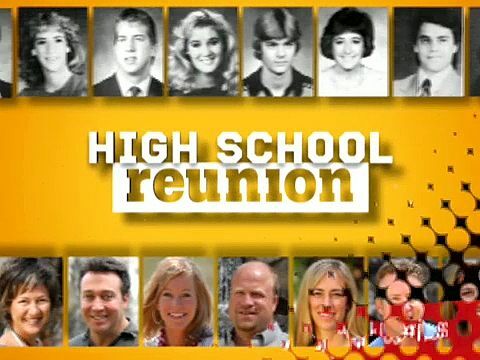 Is Social Media Killing High School Reunions? This past weekend was my 20-year high school reunion. I didn’t go. It was nothing against anyone in my class. 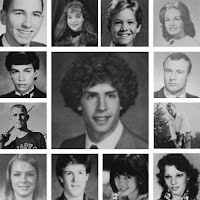 I had a great time in high school with a lot of friends. I had no traumatic experiences (other than the normal ones we all go through at that age). So, this wasn’t a case of harboring bad feelings or avoiding people from my past. Part of me originally wanted to go, and thought twice about it on Saturday night. But, then another part of me figured I’d spend ten minutes saying hi to a few people and then being ready to go. I realized that, through Facebook, I know what most of the people from high school are doing now. Is social media killing high school reunions? In the past, reunions were great for getting reacquainted with old friends that you had lost track of and finding out what they were up to now. With Facebook, many of us have already gotten reacquainted and we see everything we’re up to on a daily basis. We’re able to stay in contact and even get together if we want without a full blown reunion. On the flip side, there are a couple of arguments in favor of reunions. First of all, nothing beats spending time in person, away from the computer...we do still have social skills. Also, not everyone is on social media, so there are still people that you can catch up that you don’t already know what they’re doing. 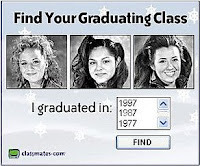 Even with that though, I'm talking about my class which graduated 20 years ago. 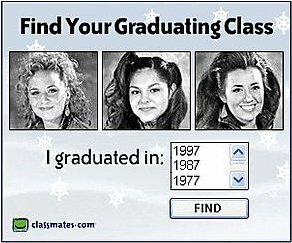 Social media didn't come out until well after we graduated (remember, Classmates.com?) But, high school students today will always have social media, so will likely always stay connected. Granted, they may not always stay in close contact, but they’ll likely at least see what their friends post. Will there be any need for a reunion for them in 5, 10, 20 years? Time will tell, but I’m thinking they’ll at least change somewhat. At the very least they make it easier for the coordinators to track everyone down and get messages out. What do you think? Are reunions becoming obsolete...if they’re not already? I’m curious if I’m in the minority here in my thinking. Or maybe I’m too progressive for my own good...lol. (I don’t think that’s it.) Thanks for reading and feel free to share with your friends. Decent post. I was checking always this blog and I'm inspired! To a great degree valuable data extraordinarily the last part I tend to such data a considerable measure. I was looking for this specific information for quite a while. Much obliged to you and good fortunes.